Paint The Town Chic Blogiversary! Paint The Town Chic turned 2 this month! However, I always think of my blogging journey as having two birthdays; I started blogging in March of 2014 and by October, I knew I wanted to stick with it, so that's when my blog name Paint The Town Chic was born. So now, here we are...I wanted to take this post to share what I've learned in the past few years and some of my favorite parts of blogging! As much as I would love blogging to be my full time job, I'm not at a place for that to happen right now. So instead of seeing this as a stressful commitment, I use blogging as a creative outlet to share my passion for fashion. After a long day of work, I don't beat myself up if I can't get a post up. I'd rather take my time and be proud of what I post! That brings me to . . . Even though blogging is not my job, it is still a commitment to keep up with. I like to post at least twice a week, though I plan on having a stricter schedule for 2017. I also try to post often on Instagram and am working on improving my Twitter skills! However if life gets in the way, I may skip posting for a day here and there and have learned to be ok with that. This has been one of my favorite parts of blogging so far. I've met so many lovely ladies through blogging. This summer I even got to meet Amanda from Enchanting Elegance and we had such a fun day of shopping and sightseeing in Philly! I definitely plan on reaching out and connecting with more bloggers next year. This has been a newer endeavor for me, but I've had such an amazing time connecting with local bloggers through PHL Bloggers. I've met some very talented ladies and have had a great time checking out local businesses and events with them. I also collaborated with Julia from Philly With A Fjallraven to get some photos for a really fun photo shoot! I'm also very excited to be helping with the 2017 PHL Bloggers Conference, but more on that later! I've had some amazing collaborations over the past year. Working with companies has helped keep the blog going and I've made some friends through this. One partnership that really stands out is with Enclothe Boutique. Gabrielle, the owner, has a great concept and really picks some adorable and trendy pieces. I hope to cultivate more partnerships like this in my next year of blogging! So what's next you ask? Well, I'm thrilled to finally reveal my new look for the blog as well as a new logo designed by my friend Chels from Cricket Lane Studios. While I was hoping to reveal it this month-work got in the way so check back in November! I also plan on investing in a good camera as well as partner with some local photographers to take my images to the next level. I can't wait to see what else Year Three will bring! 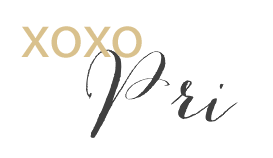 Thanks so much for following along and I look forward to a new chapter for Paint The Town Chic!